in your area or find links to rare coin websites. Search by region, keyword, or quick search. 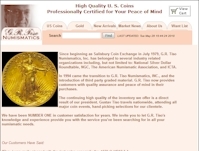 Specialty: Buying & Selling Certified Rare Coins graded by NGC, PCGS, ANACS, ICG, PCI, & SEGS. One of the leading market makers in U.S. Coins. 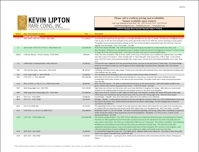 Kevin Lipton Rare Coins, Inc. Specialty: U.S. Collector Coins; Varieties: VAM Dollars, Double Dies, & Repunched Mint Marks. Specialty: PNG is a non-profit organization of the country's top rare coin and paper money experts, dedicated to today's collector and investor. 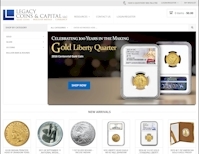 Specialty: Certified Assets Management, Inc maintains one of the Largest Inventories of Classic Rarities in the industry, and as one of the foremost certified rare coin wholesalers in the world, we are uniquely positioned at the center of the rare coin marketplace. 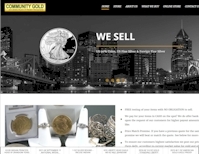 Community Gold and Jewelry Buyers of Western Pennsylvania Inc. 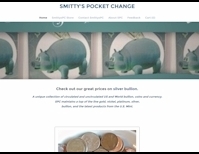 Specialty: American Silver Eagles, Gold Buffaloes - Smitty's Pocket Change is a Power Seller on eBay with 100% feedback. 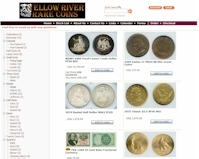 Delaware Valley Rare Coins, Inc. 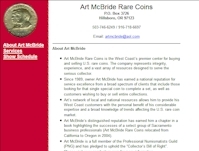 Specialty: Rare coins, currency, and related material. We purchase everything from single coins to partial and/or complete collections, estates, and accumulations. Founded in 1969. We are always buying. 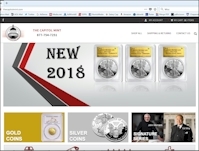 Specialty: NumisMedia is a member-oriented community of national coin dealers providing information for the numismatic industry. 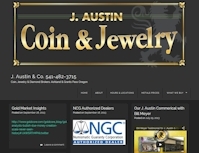 This service is provided for both coin dealers and collectors in an effort to enhance and promote numismatics. 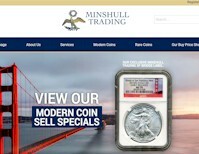 Featuring, printed and online, dealer and collector price guides for U.S. rare and modern coins. 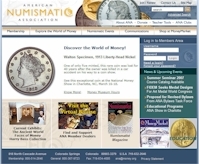 NumisMedia is a member-oriented community of national coin dealers. This service is provided for coin dealers in a cooperative effort to enhance the nature of the numismatic industry. These dealers have banded together to initiate a national marketing program that will provide coins and information for the numismatic fraternity; for both dealers and collectors, alike. Members receive subscriptions to the Monthly, Weekly and Weekly Extra Price Guides, access to ALL Online Dealer Price Guides, advertising options and discounts, and more.